The winner for the contributors contest is Cerebrally Busy with a count of 77! Send your address to mulan.mine@gmail and you'll receive your autographed book ASAP! The league table is as follows. Please blame my science side for this cut and dry method, LOL. I wanted it to be fair, transparent and to reward consistency. The numbers are the poll votes + chapter comments by readers + contributors feedback to the blog. For readers, I have decided to extend the giveaway period to make it more open because it seems a lot of people are still away from blogsville on Christmas and the rest of the holidays. I received a couple of entries and one have complained that they're not on facebook or Twitter so the steps to enter doesn't favor them. Therefore I have modified the guidelines to make it easier for more people to take part and the dates have also been extended from end of December to 31st January. Answer the following contest questions. 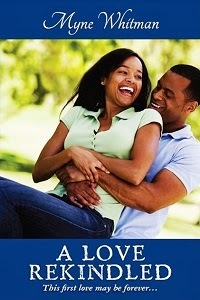 - What is on the cover of the novel A Heart to Mend? - Who is your favorite character from the Gladys and Edward's story? - Why do you like this character? - If there's to be a sequel of A Heart to Mend, suggest a major character. - Name your 5 favorite characters from the ongoing interactive story? Entries should be received before 12:00AM (US Pacific) – Sunday 31st of January 2010. Entries are open to all MWW readers, the books will be delivered to genuine postal addresses anywhere including Nigeria and Europe. To promote transparency and fairness, a random.org widget will be used to select winners. Their names will also be published here on the blog. Good Luck to everyone and I look forward to reading more submissions. I will also try to ensure that you receive your prize as quickly as possible when selected.